Evaporative cooling or adiabatic cooling is a natural, cost-effective and environmentally friendly alternative to traditional air conditioning. Cooling through evaporation is a completely natural occurrence which happens in everyday life, an example of this would be sweating. 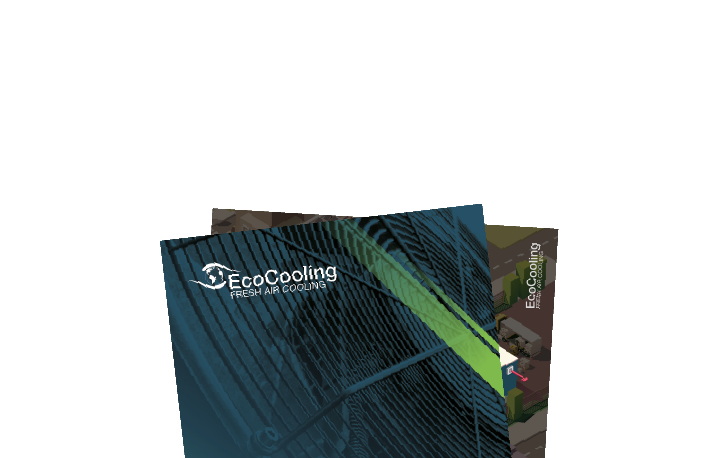 Industrial evaporative air coolers from EcoCooling build on this natural occurrence by installing EcoCoolers into ventilation systems to naturally cool the air. Fans draw the ambient outdoor air through saturated cooler pads to produce the evaporative cooling effect. The fresh, cool air is then delivered into the desired environment. As warm air rises and becomes old it is removed through an extractor fan on the roof. The evaporative cooling system is a very popular alternative to traditional refrigeration air conditioning for many reasons. The main one being that is incredibly cost effective and in comparison, it could save you over 90% in cooling costs and uses just 10% of the energy. See our savings and performance page for more detail. No refrigerants, completely natural cooling process which uses only fresh air. 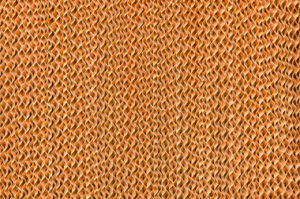 The key difference is that as the air increases in temperature it can hold more water. 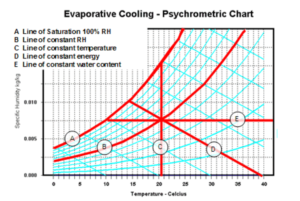 The psychrometric chart shows the relationship between air and water. As air takes up water it moves along the line of constant energy D. If the ambient conditions of the air are known then the amount of cooling can be determined using this chart. 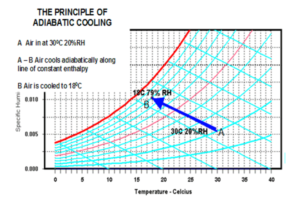 What’s the difference between Adiabatic Cooling and Evaporative Cooling? This is a question that we get asked a LOT! The truth is they mean exactly the same thing! Adiabatic is a term which is frequently or associated with the weather (mainly when discussing cloud formations and air mass). 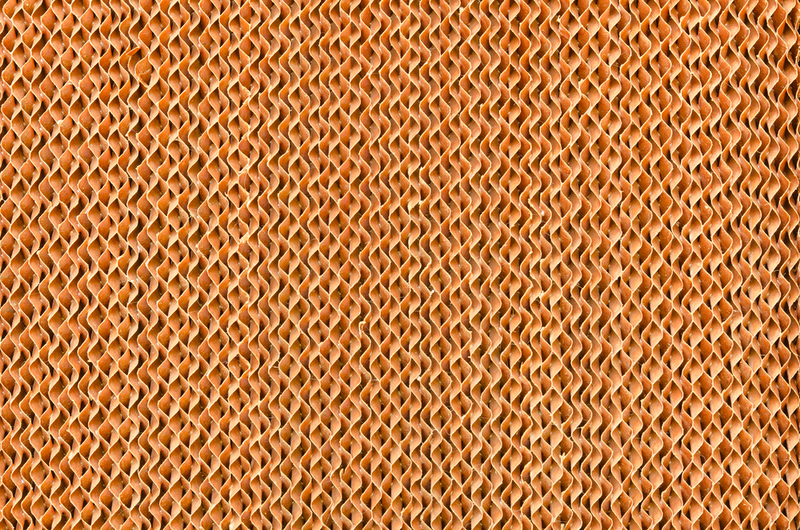 Evaporative cooling works by reducing the temperature of the hot air through the use of CelDek filter pads. The hot air is drawn into the ventilation system, it travels through the saturated filter pads and as the water evaporates, energy is lost from the air, which reduces the outgoing temperature. For more information on types of system available please visit our Applications page. Watch our explainer video or visit our YouTube page for more video tutorials!